Regina Lombardo knows policing works best when officers reflect the communities they serve — and in that case, the Department of Justice had a big problem. Lombardo serves as the associate deputy director of the Bureau of Alcohol, Tobacco, Firearms and Explosives. Over the last 28 years, she’s busted gun traffickers and drug dealers in Miami, Tampa, New York and at the Canadian border — and through it all, she’s watched fellow women fail to advance in the agency, despite a desperate need for their representation in the field. A federal report released in June concluded women across the DOJ perceived a glass ceiling — of sorts — and struggled to break free from support roles in finance and human resources. Although comprising more than a third of the department’s entire workforce, less than 16 percent of investigators in the field are women. Fewer still hold leadership positions, according to the report. Frank Kelsey, ATF’s deputy chief of public and governmental affairs, said the agency began tackling this issue long before the report came out — with Lombardo organizing diverse focus groups in November 2017 to identify the roadblocks — including child rearing and work-life balance — currently discouraging women. 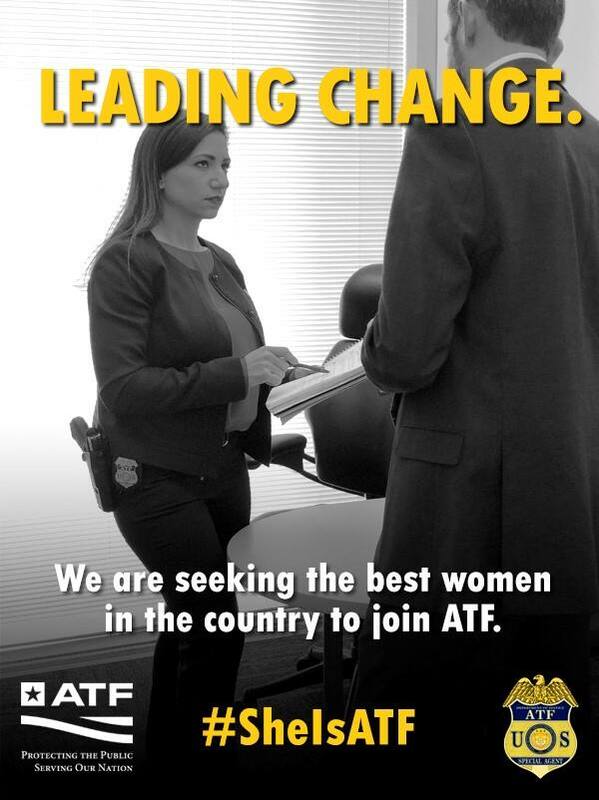 So the ATF went to work revamping advertising and recruitment images with women front and center. Soon, #SheIsATF was born. Lombardo didn’t stop there, however. Focus groups also helped build new recruitment strategies targeting women at military academies, in athletic programs and even Fortune 500 companies. The post #SheIsATF: New campaign targets women beyond law enforcement appeared first on Guns.com.